Do you have stubborn fat on your abdomen, flanks, back and thighs that you simply can’t get rid of? The non-invasive body contouring laser treatment may be the answer you’re looking for! The world’s first FDA-cleared laser treatment for non-invasive lipolysis of the lower abdomen, love handles, back, inner thighs and outer thighs. 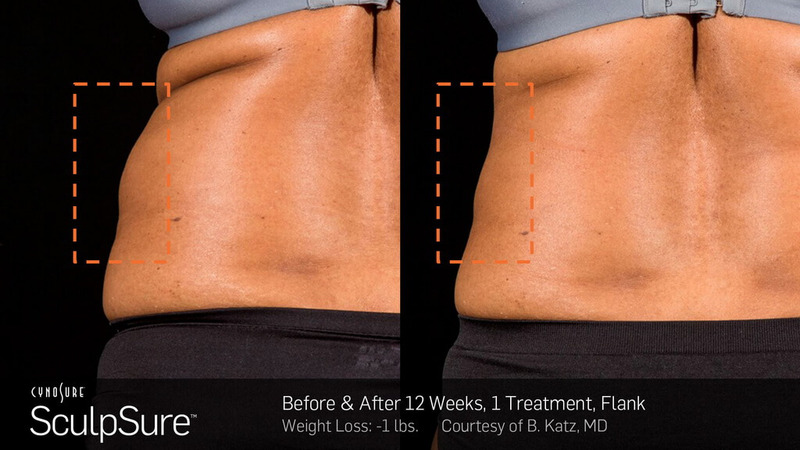 It’s a state-of-the-art, controlled light-based technology, perfect for patients looking to get rid of stubborn fat fast and effectively. The fat cells naturally removed from the body. Laser targets and heats fat cells under the skin without affecting the skin’s surface. It can be used on all skin colors and there has been no reported incidents of burns when treated by a properly trained physician. 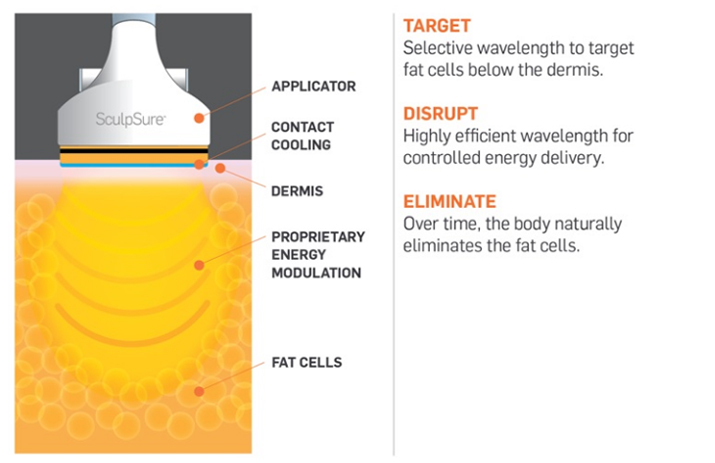 The SculpSure 1060nm wavelength laser selectively targets adipose tissue (fat) below the dermis. Over time, the body naturally eliminates the fat cells with positive results seen in as little as 6 weeks with optimal results usually seen at 12 weeks. The damaged fat cells are removed naturally from your body through your lymphatic system. Once the fat cells are removed from your body they cannot regrow. Our address : 86 rue principale (Aylmer), Gatineau, QC J9H 3L8.